This one is a little late, you turn 6 months in two weeks, but we’ll count this at your 5 month letter. Once again, you’ve grown exponentially this month. You surprise us every day with how quickly you learn. This month you rolled over once, and then non-stop. 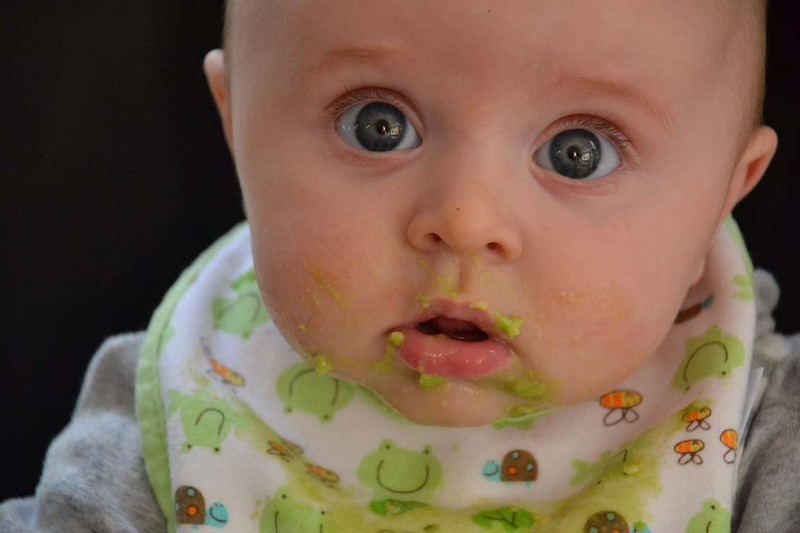 You ate your first real food, avocado. You loved it. Next we tried sweet potato, which you were a little unsure of at first. Now we’re on to banana, which you’re very unsure about. 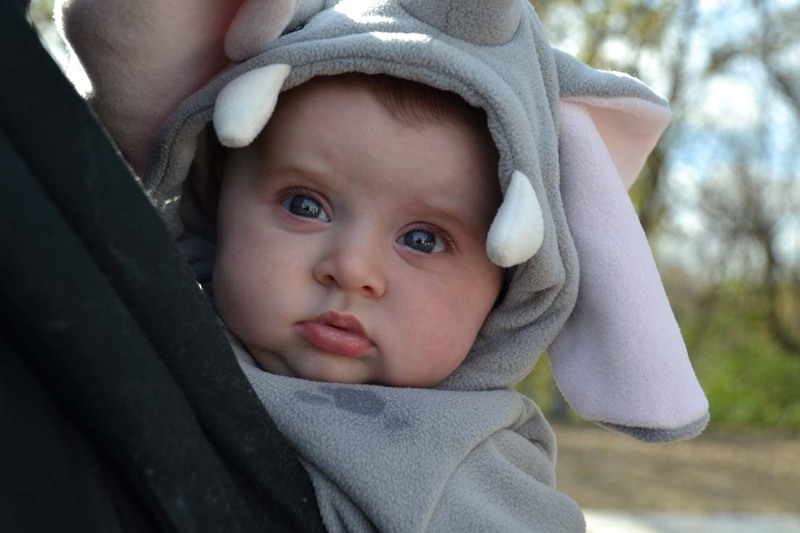 You celebrated your first Halloween as an adorable elephant. 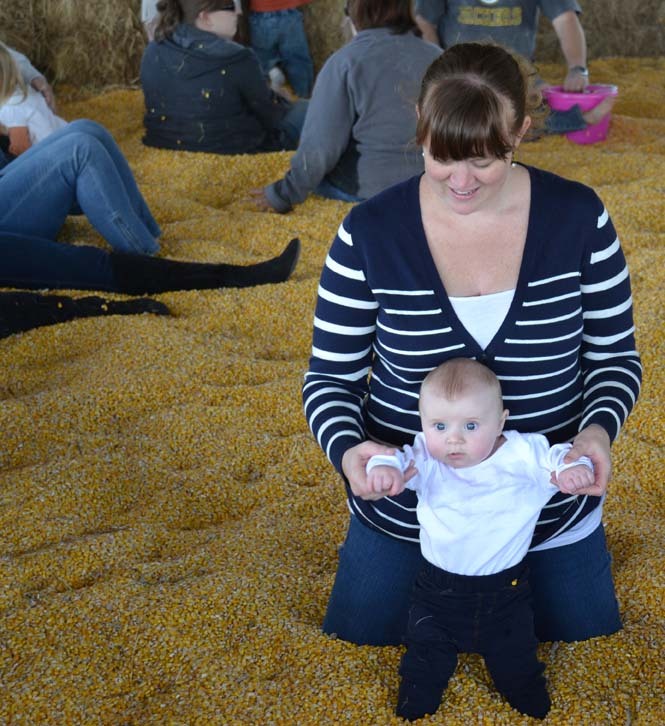 You went to bed long before the trick-or-treating started, but next year we’ve got big plans. We went to the apple orchard, twice. You got your first big cold, twice. I think we have daycare to thank for that. You are so observant these days. I can see you soaking every little thing in. It makes me so much more aware of my actions, and how you are learning so much from me. I’ve really started to think about what things are important for me to teach you as you grow up, and what values I want to pass on to you. On the way home from work the other morning, I was thinking of one specific thing I really want you to know. In your life, mostly when you are a teenager and a young adult, people will place a lot of importance on the concept of “finding yourself.” They write movies about it, sing songs about it, and, over late night conversations, you and your friends will ponder it. I spent a lot of my younger life worrying about finding myself. As if my true essence existed somewhere just out of reach. I never felt like I “found myself.” I never saw myself that clearly. I wondered if I was doing something wrong. 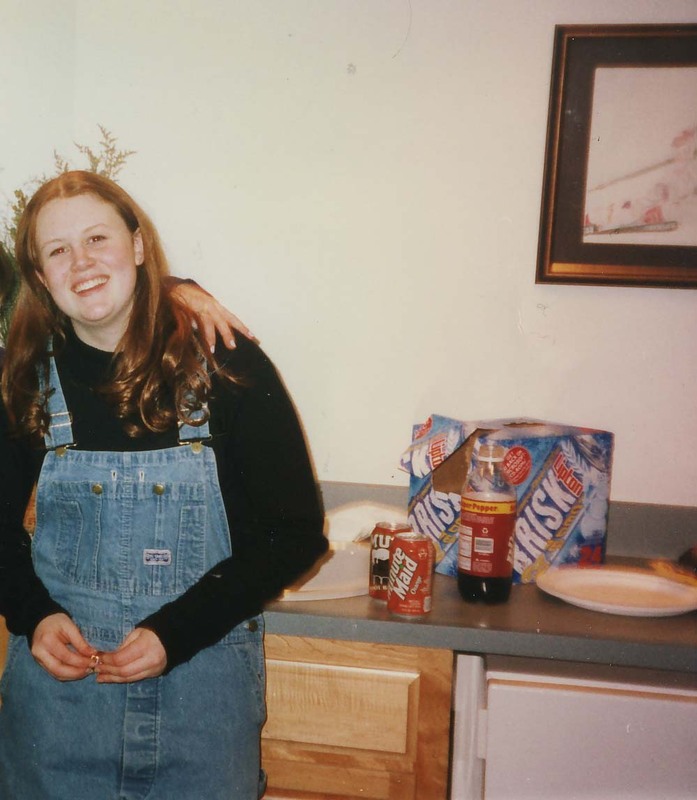 Me, circia 1996, at one peak of trying to “find myself.” I copied this entire look, including hair, from a girl I thought was cooler than me. She was at that party. It was totally obvious. At some point in my mid 20s, I had a revelation. Life isn’t about finding yourself. Life is about building yourself. You’re existence is not a predetermined thing, hidden from your sight until you ponder it completely enough. You are always a work in progress. Choices you make, opportunities you take advantage of, and people you choose to surround yourself with are all building blocks of what makes you you. And, it goes on your whole life. As long as you are alive, you can build yourself. You have no idea now, but you are already building yourself. 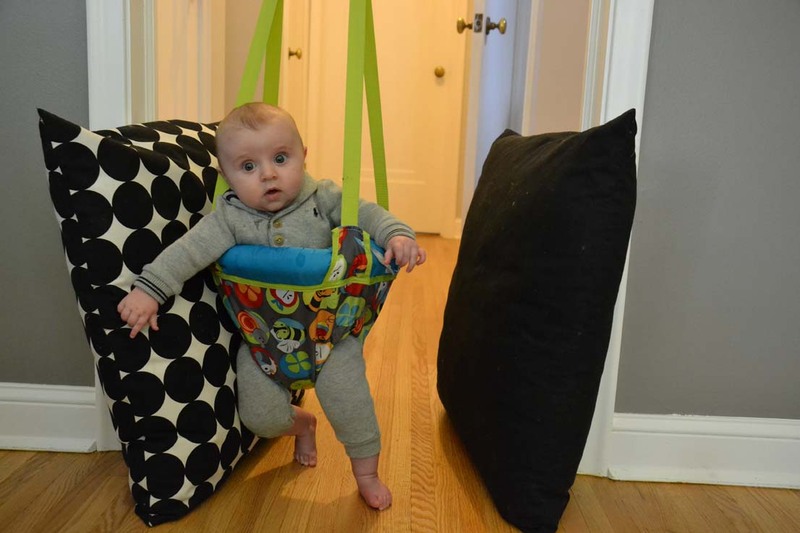 You’re building this strong, willful, observant, playful, happy baby. As you continue to build yourself, I want you to know that every building block, no matter how intentional, was worth it. You may look back and see some blocks you’d like to remove, but they are all a part of you, and you are perfect. So far, being your Mom is one of my favorite building blocks. Having you, and becoming a mother is such an amazing new aspect of my life. I can barely wrap my head around the idea of who I am to you, but to me, you are the world. Happy 5 1/2 months. I love you. He is so cute! I really need to start at least working on my little one’s baby book before I forget these things!